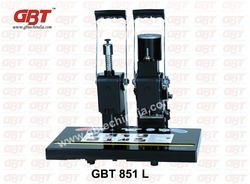 Leading Manufacturer of gbt 851l heavy duty electric drilling binding machine, gbt 831 s riveting tube binding machine, tube binding machine, gbt 821 m electric tube binder, plastic rivet binding sample and sample tube binding machine from Delhi. 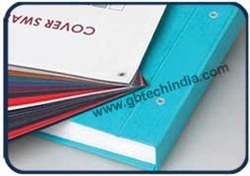 Applicable Binding Material: Paper, Leather or plastic goods, Cardboard, etc. Drills and binds up to 300 sheets in 10 seconds per job. 3. 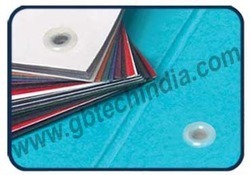 To ensure the safety of users, it have a facility to prevent creep age. 4. The distance between holes can be adjust by yourself. 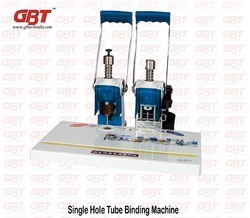 This electric drilling and binding machine is stuiable for the finacial office and the archives room. 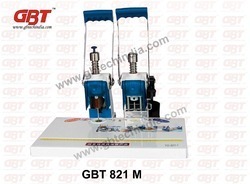 It has attractive appearance with light weight and it’s easy to operate. 2.Imported drill , sharp edge . 2. 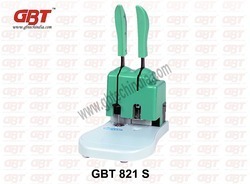 Imported drill blade, sharp edge which was under 20 thousand times test. 3. To ensure the safety of users, it have a facility to prevent creepage.